DIRECTIONS - This hike starts where the Appalachia Trail crosses Bake Oven Rd (seasonal dirt road). The GPS coordinates are N40 44.682 W75 44.261 for those who have a GPS devise in their vehicle. There is a large parking lot. Don't expect to be alone on this hike. This is a very popular section of the Appalachian Trail in Pennsylvania. THE HIKE - Total round trip mileage is 0.8 miles for this relatively short & easy AT hike to fantastic views. From the parking area follow the white blazes east into the woods along an old woods road. Reach Bake Oven Knob at 0.4 miles. There are views north and south of the trail. The best views are to the south. To return simply retrace your steps back to your vehicle. There are pictures below. There is an elevation gain of 40 feet on this easy hike. 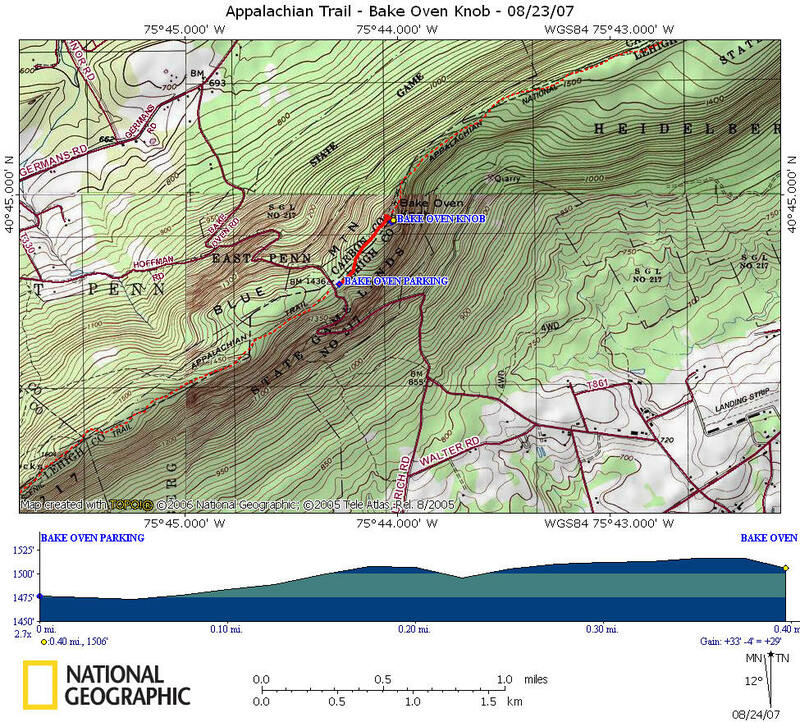 Be sure to check out a few pictures below, a map and a video of this classic Appalachian Trail hike.